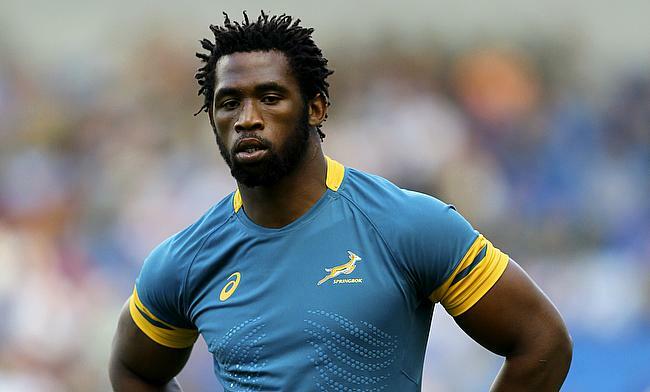 South Africa captain Siya Kolisi will be available for the final game of the November series against Wales after he was left with a warning by World Rugby over a headbutt incident during the encounter against Scotland last weekend. The incident happened during the first half of the game at BT Murrayfield Stadium when Kolisi and Scotland's Peter Horne were on the floor at a ruck and the South African skipper was on the top of the Scottish centre as he appeared to lean back and strike the latter in the face with the back of his head. A statement released by World Rugby said that Kolisi's action was found in breach of law 9.12 but did not meet the threshold for a red card. "Siya Kolisi (South Africa) has received a Citing Commissioner Warning from Citing Commissioner David Pelton (USA) for striking with the head (Law 9.12) during the 31st minute of the Scotland versus South Africa November Test at Murrayfield on November 17," read the statement. "Having reviewed the video angles, the Citing Commissioner determined that there were mitigating factors which meant that the action did not meet the red card threshold, including the player being illegally prevented from re-joining the play by Scotland's Peter Horne and the moderate force of the strike to the side of the head. The match officials did not see the incident at the time on the field of play. "Under World Rugby Regulation 17, a Citing Commissioner Warning is issued for offences falling just short of a red card and, or similarly to cards, will form part of the player's disciplinary record." Meanwhile, Scotland fullback Stuart Hogg lamented Television official Ben Skeen for not alerting referee Romain Poite on the incident which could have seen Kolisi either sin-binned or red-carded. "These things happen but you question what the TMO is doing," Hogg told BBC Sport. "Peter Horne is a hard bugger and just managed to get on with it. He didn't whinge about it. "I asked Pete 'was that a legit headbutt?' and he said he felt he was headbutted. But it has happened. We can't do anything about it now."